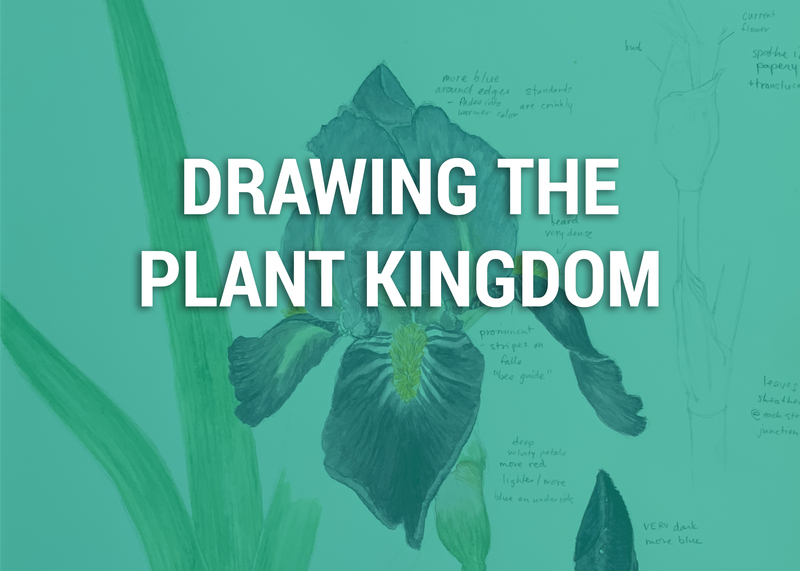 Students will learn about plants through direct exploration, observation, and drawing with a variety of media including pencil, ink pen, colored pencil, and watercolor. Topics will include basic botanical concepts such as plant life cycles, plant anatomy and morphology, plant families and naming of plants, native plants and their pollinators/habitats, etc. Emphasis is on the physical experience of mindfully seeing and drawing plants accurately; observing and understanding the plant’s role in the ecosystem; using good scientific and naturalist methods such as leave no trace; and principles of nature journaling such as daily observations, record keeping, species identification, personal reflection and the enjoyment of art as a means of understanding. 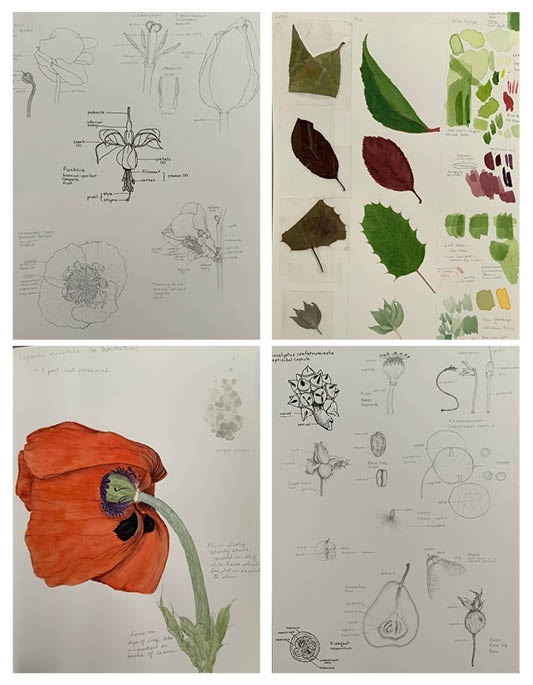 Each student will develop and take home a personal nature journal with botanical drawings, observations, reflections and multimedia artwork. Students will understand the basic structure of plants and will be able to draw, identify and label the external parts. Students will gain observation, identification and scientific inquiry skills. Students will learn illustration skills using pencil, pen and ink, and watercolor. Students will develop understanding of scientific words and concepts related to botany and plant anatomy. Students will develop journaling skills by observing, drawing, writing and recording their observations and reflections over time. Best suited for K-8th grades. Can be modified for grades 9-12. Linnea Lortsher is a native Californian artist who recently relocated to the Pacific Northwest to be closer to family and nature. Although passionate about plants and skilled at art from an early age, Linnea pursued technology and library science as her career path and only rekindled her interest in studying botanical illustration after leaving the tech world to start a family. Her formal training in art includes the Botanical Art Certificate Program at Filoli in Woodside, Ca. Linnea also volunteered for many years in her children’s classrooms through the nonprofit Art in Action program and has received specialized training in grade school level art instruction. As a former Girl Scout troop leader and lifelong lover of nature, Linnea seeks to help students develop art skills as a way to deepen their connection with the natural world.